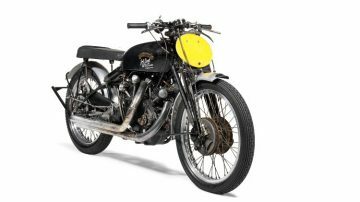 Bonhams sold Jack Ehret’s Australian Speed Record-Setting 1951 Vincent Black Lightning for nearly $1-million in Las Vegas, as the most-expensive motorcycle ever sold at public auction. 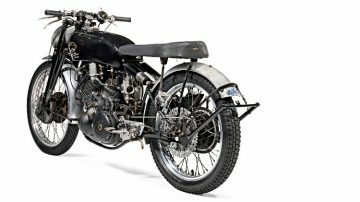 Bonhams achieved a new world record high price for a motorcycle when the Australian speed record-setting, 1951 Vincent 998cc Black Lightning motorcycle sold for $929,000 in Las Vegas, USA. The near a million dollar result makes it the most valuable motorcycle ever sold at auction. Bonhams also currently holds the record for the most-expensive motorcar ever sold at public auction – a 1962/3 Ferrari 250 GTO at $38,115,000. 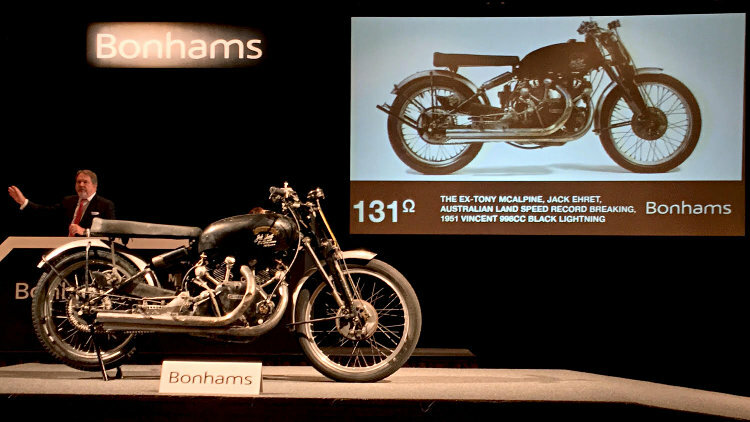 The 1951 Vincent 998cc Black Lightning that sold for $929,000 at the Bonhams Las Vegas 2018 sale on 25 January 2018 as the most-expensive bike ever is of course a rather special motorcycle. It is a highly original, matching-numbers example and one of an estimated 19 survivors from the original 33 built. It also comes with an enviable racing record. The 1951 Vincent Black Lightning, number 7305, was built by special order in Stevenage, England, for Australian racer Tony McAlpine. 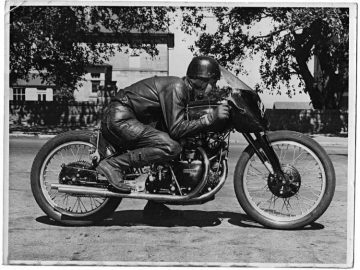 At the time of its build, another well-known Vincent nicknamed “Gunga Din” was undergoing work in the factory. 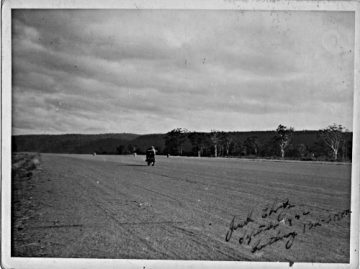 Upon completion of both, the two machines were contested at an airfield where it was said that McAlpine’s bike was a clear 30 yards ahead of Gunga Din. Factory records later indicated speeds in excess of 130 mph in third gear. McAlpine imported the 1951 Vincent 998cc Black Lightning new into Australia but sold it without ever racing the bike himself. The next owner, Vincent Forrest, raced and crashed the bike in the Australian TT races and sold it on. The 1951 Vincent 998cc Black Lightning achieved most of its fame from the third owner, “Black Jack” Ehret who owned the bike for nearly five decades. He participated successfully in many races but most famously upped the Australian Land Speed Record from 122.6 mph to 141.5 mph in 1953. London-based auctioneer Bonhams currently holds the record for not only the most-expensive motorcycle but also the most-expensive car ever sold at public auction. 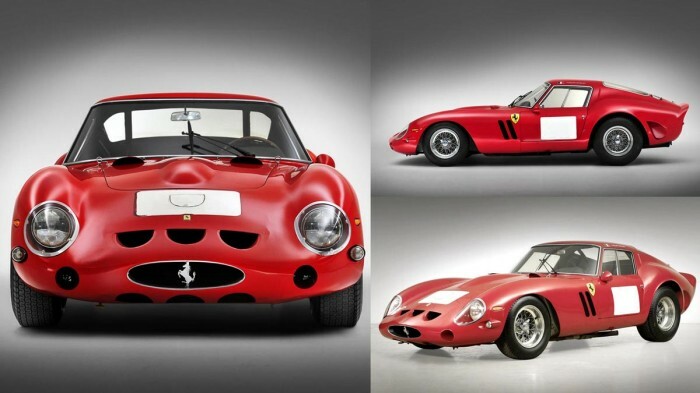 A 1962/3 Ferrari 250 GTO sold for $38,115,000 at the Bonhams Quail Lodge 2014 sale during Monterey Week in California, USA. It is one of only eight cars to ever have sold for more than $20 million at public auction.